Our clients have made great contributions to their families and society throughout their lives, and they deserve the best. Our goal is to provide a great care experience that enables our clients to remain in the comfort and familiarity of their own homes without sacrificing their independence or dignity. They deserve no less! The health care system has pushed many more responsibilities onto patients, calling it “patient directed care”, that most have difficulty managing. It wasn’t long too long ago that if you were going to the hospital you would be admitted, prepped for your procedure or treatment, recover, then go home. Those days are gone forever. Now, you have to prepare for your admission on your own at home. The procedure or treatment is administered and the facility discharges you as fast as they can. There is very little recovery done in facilities. You have to preside over your own recovery in your own home. Many patients are discharged who are unable to cope with their self-care responsibilities. Having worked as a hospital administrator, physician practice manager, and a large home care enterprise I have a unique knowledge of the health care “system” and help our clients navigate through the many challenges they face so they may recover and live safely at home. A Better Living Home Care Agency opened its first office in Sacramento, CA to serve the four counties of Greater Sacramento in December of 2000, and was welcomed as a breath of fresh air by the eldercare community. Our personal and professional understanding of client and family needs, combined with our client-centered approach to in home care was unique and refreshing. In August, 2001 a second office in Concord, CA was opened in response to the needs of the eldercare community of the East San Francisco Bay Area. First, our experienced seasoned staff of professionals takes the time to understand the situation and challenges each client and their families are facing. While discussing your situation we complete a comprehensive care assessment. Then we determine which caregiver from our large community of care providers is best suited to each client and their family. A Better Living Home Care Agency excels in matching the most compatible and well-suited caregivers with clients. We feel so strongly about finding the right caregivers and senior helpers for clients that we guarantee compatibility. If a client is not satisfied with a caregiver, just ask us and we’ll provide a new caregiver within two business days, usually sooner than that. Providing a highly compatible, qualified caregiver or senior helper is only the first ingredient to a great care experience. The second ingredient is to allow the client, their family and the caregiver to develop strong, caring, trusting relationships. We realized long ago that no agency can micromanage the complex relationship between clients, families, and their caregivers. In our client-centered approach the clients, their families, and the caregivers work together to define the roles and responsibilities around the client’s needs. The third, and final ingredient to a great care experience is our care coordinators and supporting office staff. They are knowledgeable, experienced, considerate, and professional. They strive to exceed our clients’ expectations in every way. Whether you need a temporary or permanent caregiver or need help with your insurance, they really do go the “extra mile” to provide the best possible service. Personalized, superior customer service and friendly, courteous and informative answers to your questions are the hallmarks of our service. Who are the founders of A Better Living Home Care Agency? Mary Griffin, RN, MPH has over 35 years of nursing experience with more than 25 years in home care, and home health care. She has a BS in Nursing, is a Registered Nurse, and earned a Masters of Public Health from Johns Hopkins University in Baltimore, MD. Over the last 25 years she has held executive positions at several national home care companies, and owned and operated a home health care agency with offices throughout California. She has published articles, and is a recognized home care leader throughout California. Mary has a unique perspective, not only does she have over 25 years of experience, but she is also the also was the primary care provider for her 88 year old mother with Alzheimer’s and debilitating arthritis. Her combined personal and professional experiences provide great insight into understanding client and families in need, and how best to serve them. Mr. Bloodsworth is a pioneering leader in home care and is past president and a board member of a statewide home care agency association. He frequently speaks on senior issues, and has testified before legislative committees. 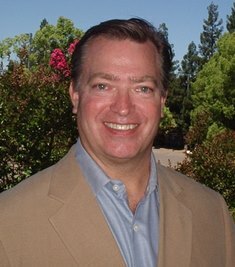 His career experience in hospital administration, physician practice management, chronic disease management, and home care is unique, and provides a deep understanding of his client’s and their family’s needs. He graduated from The University of Iowa with a Masters in Hospital Administration, and a Masters in Business Administration. Both Jay and Mary are active in the day to day management of the company. Their years of experience and drive energizes our team and keeps the focus on exceeding our clients expectations.